Occasional notes on the world of tennis, the best in cocktails and coffee, and the newest in Civil War learning. One of the most fascinating and long-lived subtexts to the Battle of Gettysburg is the story of Amos Humiston, the unknown soldier of the battlefield. It is a massive story even today, living on in books, tours, and stories, but was an even bigger story after the battle itself. In brief, a body was found on the field with no identification, no regimental markings, nothing save an ambrotype of three children. The subsequent dissemination of this picture and the tremendous popular outcry to find the family of this unidentified slain warrior was as big a story on the homefront as the war would generate. The story lives on and is the subject of a wonderful study by filmmaker Errol Morris. It's being presented in a serial format, one section per day, each day of this week, today being part III. Click here to read the first part, then you can move through each one. This is one of those incredible special pockets of our history that, when reopened, releases a staggering tale of sacrifice, tragedy, and mythmaking. Even before I went to UCLA, I was a huge college basketball fan. After a national championship during my freshman year 1995 and covering the basketball team for the Daily Bruin, I became a diehard college hoops junkie. Every March, it's brackets, basketball, and the Bruins for me. Some of the wildest times I've had as a fan occurred at regular season and NCAA tourney games, and every year I have the choice to attend regional tournament games somewhere nearby where I live. I've also always taken note of where the other regional games are played and watched those fans go completely ballistic as well. I never noticed that, since 2002, none of these games, or any NCAA championship tournament or game, has been played in South Carolina. The Bi-Lo Center, with 16,000 seats, and the Colonial Center, which was built in large part to host such events with its 18,000 seat capacity, have been banned from hosting the NCAA college basketball tournament by the NCAA. The reason behind this ban, and a similar one in Mississippi is because these states continue to fly the Confederate flag on state grounds. All that publicity and all of that revenue are off the table. I couldn't have asked for a better issue to serve as a teaser trailer for our upcoming discussion of the Confederate flag. I'm nearly done with John Coski's book, and a good debate should be in the offing soon. Just over one week ago, The Jess and I made a run to the desert to catch the world's best tennis players plying their craft. After a day and a half of total tennis immersion, I was on absolute tennis tilt, which is a positive. The thing about this event is that you just get overwhelmed by the talent level of these people. The access for fans, what with the practice courts and general admission, is unparalleled. You're standing right next to Rafael Nadal on the practice court, or sitting courtside watching outrageously skilled athletes brawling for their meal money, and you just reel. It's hard to describe the power, speed, fitness, and creativity these men and women demonstrate. Really hard, but that why it's so thrilling as a fan. The Jess had her mega-powered camera around her neck, and we got some pretty great shots you can enjoy by clicking here. One of the women she photographed, a Belgian named Yanina Wickmayer, was snapped during an incredibly tense match against Daniela Hantuchova and the photos are awesome. So awesome, in fact, that Wickmayer's website manager emailed The Jess today and asked permission to use some of them. The Jess and I made a day-long sojourn to Pasadena a few days ago to take in the Huntington Library's magnificent Abraham Lincoln collection, and I'm pleased to say that our expectations were actually exceeded by the beauty, gravitas, and size of the exhibit. There's a unique energy in this hall that gives a sense of being in the presence of history; this is primary sourcing at the highest level. Seeing letters written in Lincoln's hand, broadsides from the day of his assassination, rough drafts of the First Inaugural, is frankly quite staggering. When you see these items, it feels like you've been transported to another time, and that is a special feeling. We got some outstanding, flash-free photos that capture some of the thrill of seeing these items, and I'd like to start with this letter from President Lincoln to Lt. Gen Ulysses S. Grant written on April 30th, 1864. Not expecting to see you again before the Spring campaign opens, I wish to express in this way, my entire satisfaction with what you have done up to this time, so far as I understand it. The particulars of your plans I neither know or seek to know. You are vigilant and self-reliant; and, pleased with this, I wish not to obtrude any constraints or restraints upon you. While I am very anxious that any great disaster, or the capture of our men in great numbers, shall be avoided, I know these points are less likely to escape your attention than they would be mine -- If there is anything wanting which is within my power to give, do not fail to let me know it. 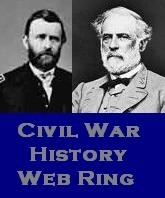 On April 3oth, 1864, Lincoln, his administration, and the entire Northern war effort were at a momentous point. The long-planned thrusts into the South in both the Eastern and Western theaters, with newly appointed Lt. Gen Grant in overall command but following the Army of the Potomac into Virginia, were about to be launched. It was an election year, and with three years of bloody war gone by with no end in sight, there was real concern that the Lincoln administration and the war effort were nearly spent. Lincoln knew what he had in Grant; indeed had known since 1862 when Grant surged onto the national scene. The two men had met in Washington DC in mid-March 1864, a few weeks before this letter was written, when Grant had been given overall command of the Union Army. Grant had earned Lincoln's respect as well as the clear autonomy spelled out in the letter, but with that came the tremendous expectations that underscore every single word Lincoln wrote. The timing and expectations that traveled with this letter to Grant's camp were of course not lost on Lincoln. He possessed a keen sense of history and his place in it, indeed he facilitated this by the use of his personal secretaries, and he knew that this type of letter would become a touchstone for the moment it was written. Bringing these considerations into the fold, we can see a meticulously written note, likely the final of several drafts, with each word selected for the moment and crafted with the very best penmanship. General Grant was about to carry the spearpoint of the Union army into the heart of the Confederacy, and with this letter, Lincoln not only sent him on his way, but captured the profound anxiety, courage, and diligence that history requires of its touchstone moments. Several months ago I wrote about the plans and need for a slavery museum in the United States; to refresh your memory, click here. Unfortunately, it appears that development at the Fredericksburg, VA site has ground to halt amidst growing criticism of former Governor and erstwhile project director Douglas Wilder. Given that the museum allowed its registration to raise funds to expire last year and that Wilder is evidently not returning calls from the press, perhaps a fresh start is the way to go. Shockoe Bottom, a district in Richmond, VA has apparently voiced some interest in having the project brought there. One can only hope that this endeavor finds not only a location, but a management team that can get it off of the drawing board. Prof. Michael Burlingame just wrapped up an online discussion of his new opus "Abraham Lincoln: A Life" on virtualbooksigning.net, and it promises to be quite a dizzying addition to the Lincoln bibliography. Coming in at 2 volumes and several thousand pages, this text will give most of those that came before a serious inferior complex. Not only that, but the scholarship within is just stunning. Certainly, reading books of this size is a daunting proposition, but this sort of work comes along only every few decades, so you've got time before the next one arrives. Also, it can easily be used as a reference text. Burlingame is a self-described psychohistorian in that he plumbs the historical depths to not only paint a picture of the subject, (in this case, Lincoln), but to reconstruct their psychological makeup and approach. In hearing him speak, he certainly has as much mastery of the subject of Lincoln as anyone who has ever tackled the issue. What struck me in listening to Burlingame speak was not so much the content of the book, but the incredible inquisitiveness he possesses. Again and again, he spoke of subjects he will write more about, that need further study, that could be readdressed. If anyone's going to craft a masterwork, it's the guy that never stops asking questions. Speaking of questions, I submitted one during the program that was asked by the moderator regarding whether or not Lincoln may have been Jewish. Burlingame was more succinct on this point than any other; no. More accurately, he said "there is no evidence to suggest that." Part of me would have liked a bit more conversation on the query; where it stems from, etc, but if there's no evidence, there's no evidence. One year ago yesterday, The Jess came home after having a major surgery. It was a huge moment in our lives and one that we continue to come to grips with. Part of this process was our dinner to mark the occasion. All of my wife's favorite flavors were in play, and she was just a whirling dervish in the kitchen. Beautiful. I took on the responsibility of crafting a new cocktail to help us toast the moment. Following Ariana Johnson's advice of picking the flavor palate you want to work with and our theme of all of The Jess' favorites, I came up with the base structure of blood orange, ginger, and cachaca. From there I grabbed the Leblon Cachaca, Domaine Canton Ginger Liqueur, and a handful of beautiful, in-season, local blood oranges. Follow these step and you will end up with a seriously delicious drink! I use this space to expound upon my passions and my hobbies. The Civil War, tennis, and the world of coffee and cocktails are the bulk of what's written about, so please join in! Make The Tipsy Historian A Technorati Favorite!